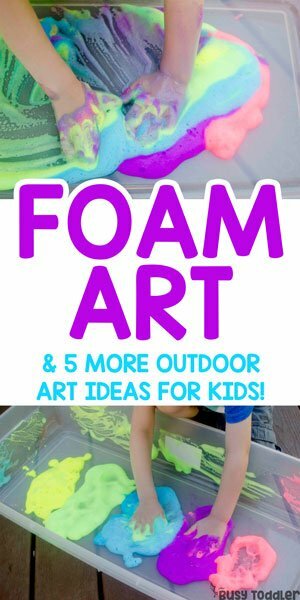 You’ve got to see these easy outdoor art ideas for kids! I love taking art outside. There’s the obvious reason: the clean up is much easier the farther art is from my white couch. But then there’s the not so obvious reason: it’s just good for the kids. 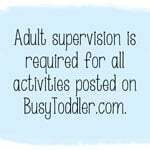 It gives them time to explore outside in a creative way or to slow down and observe and work with nature. Either way, I love an art activity that can be moved outside. 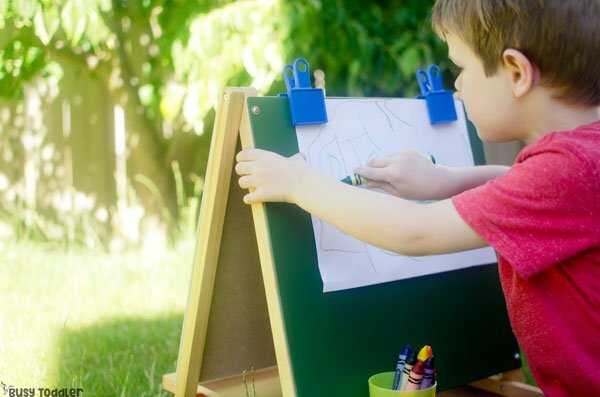 Today, I’m sharing 6 easy outdoor art ideas for kids. You’ve got to try these! Outdoor art ideas don’t have to be complicated! When I’m thinking of an art project to move outside, I’m not thinking about anything time consuming or difficult. 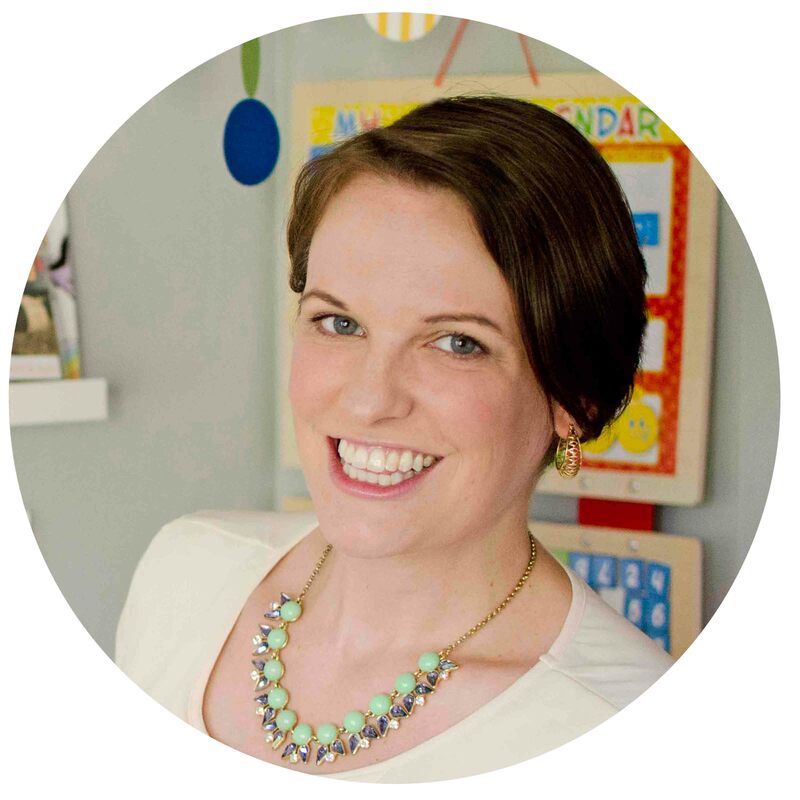 I’m looking for quick and easy art activities – the kind that can be set up in seconds! The ideas I’m sharing here are nothing but easy peasy! Hello new favorite way to paint outside! 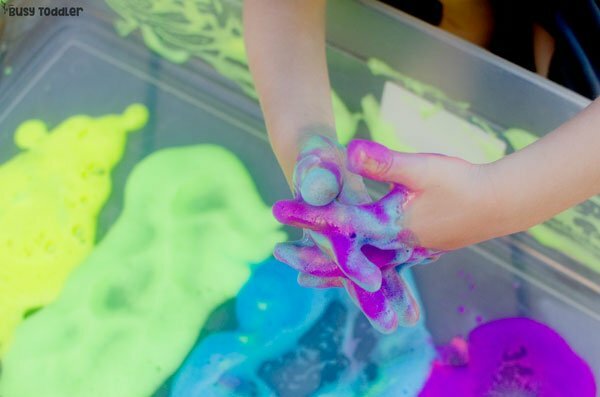 This Foam Sensory Paint from Lakeshore is AMAZING. 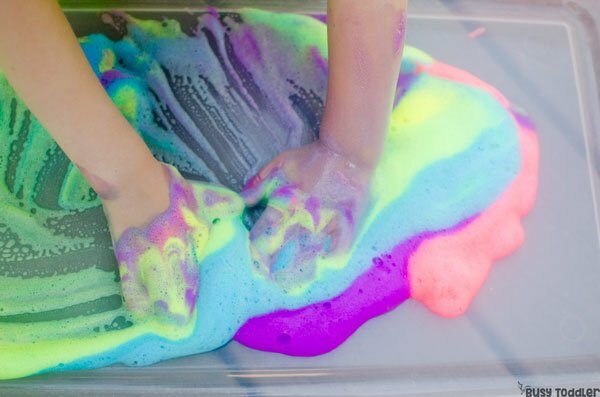 It squirts out like foaming soap for a hybrid art-sensory experience. I set this up in an under-the-bed storage container to keep the mess/foam contained. It took me less than a minute to set up this whole activity, but my son (4 years old) played for nearly 20 minutes. He just kept asking for more! 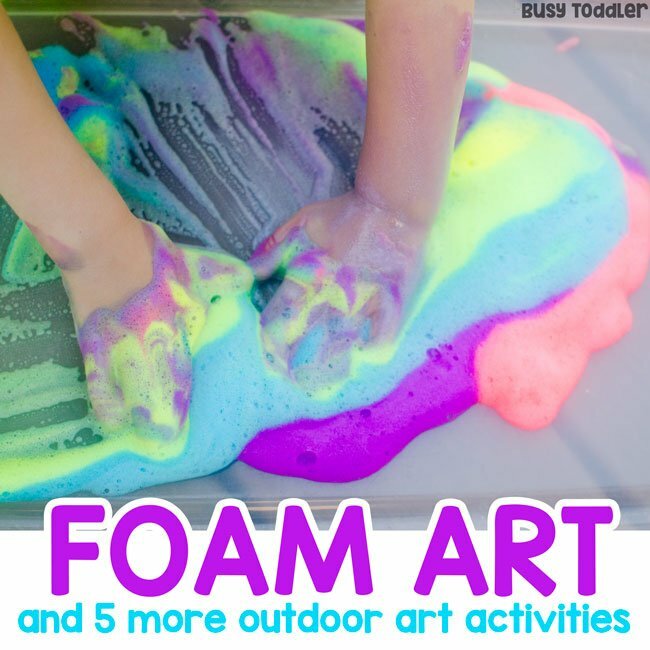 Messy art activities are perfect for outside. A simple rinse off with the hose plus some hand soap, and he was all clean. He has officially declared that Foam Sensory Paint is the coolest! I’d have to agree! 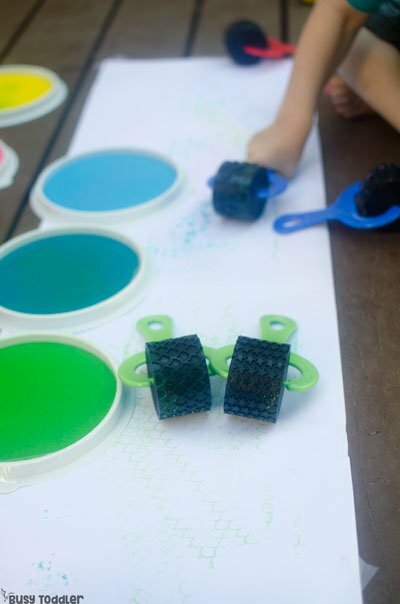 Have your kids tried painting rocks yet? It’s so calming and kids just love it. I set my kids up with a few great rocks to paint, bring their paint cups outside, and they will work on those rocks for so long! As a bonus, there’s nothing sweeter than kid painted rocks in the yard. Setting up an invitation to draw outside is so inviting! 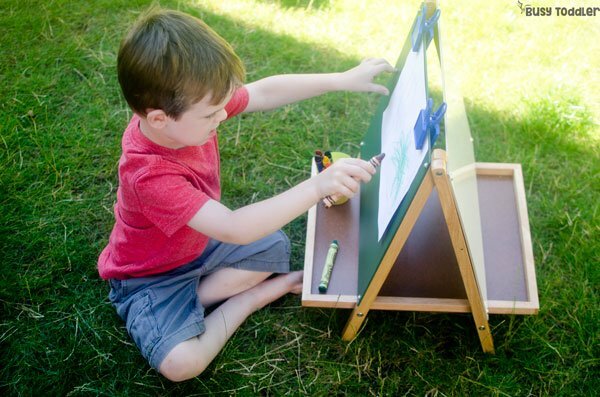 I set my son’s 3-Way Tabletop Easel outside in front of various trees and bushes. This invites him to sit and try a “still life” portrait for a change. He loves sitting in front of his favorite tree – they have a very Giving Tree like relationship – and drawing pictures of him. 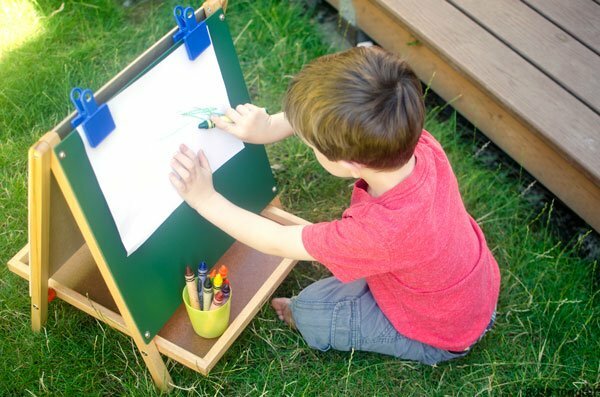 It’s one of my favorite calming activities for him: sit and draw outside on the 3-Way Tabletop Easel. This is a fun one! Grab leaves, sticks, rocks, pine cones, etc and make a nature mural. Use the items to create picture: houses, flowers, people. This works best on a flat, even surface like a patio, sidewalk or deck. 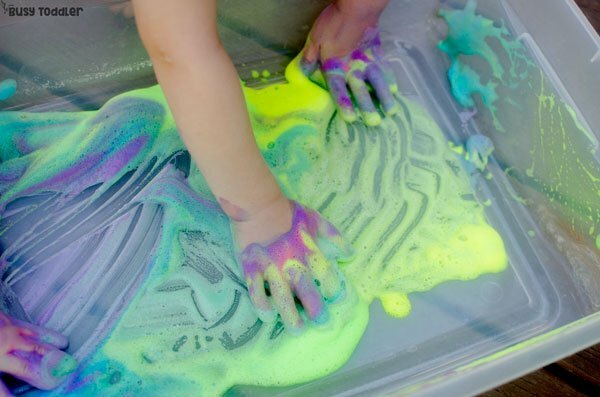 If you haven’t let your child paint with water yet, then let today be the day! 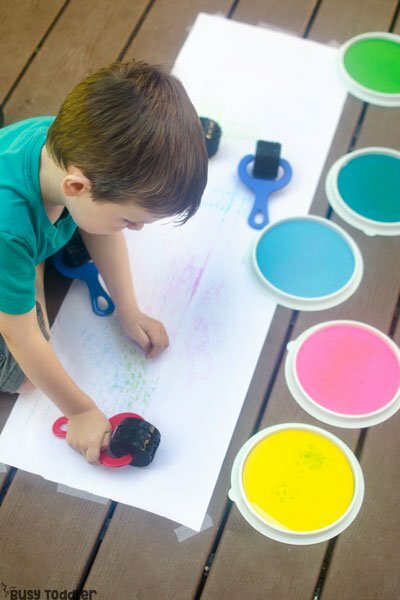 Grab a bucket and a variety of paint brushes for a really fun way to paint. 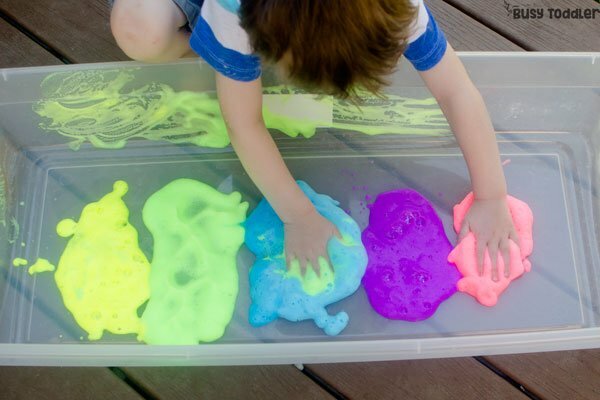 Kids love making water art that vanishes when it dries! 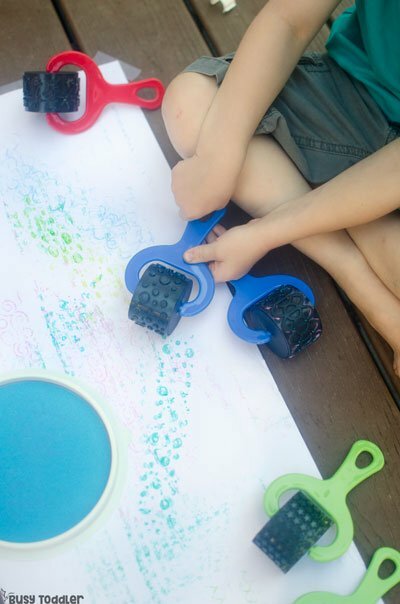 I grabbed my son’s Lakeshore Design Rollers and his Pastel Giant Washable Color Ink Pads for one easy outdoor art set up. I taped down a large section of butcher paper and let my son work with his Lakeshore Design Rollers on a bigger surface than usual. Everything is washable so there was no big mess to clean up (and I didn’t have to worry about my carpet being stamped on). This was a perfect activity to take outside! I love being able to take art activities outside, and especially love using products from Lakeshore Learning. Lakeshore items are the best: they’re well made, designed by teachers and loved by kids. I know they’re going to last long and be open to years of play opportunities. 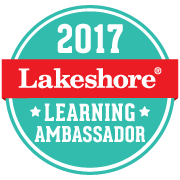 For more summer learning ideas, products and activities, check out Lakeshore’s Summer Learning Guide. To learn more about Lakeshore, find them on Facebook, Instagram, Twitter and Pinterest. What’s are your favorite outdoor art ideas for kids?